The discussion has been going on for ages. On the balance between feelings and reason, architects are still looking for the right place to stand in a practice where art is not permitted as is (read an interesting analysis on the Architect’s Newspaper on this matter). As a student trying to argue with teachers and peers, I had decided that architects couldn’t claim themselves artists because people ultimately use and inhabit their creation. Still, architecture with no art is doomed and beauty is necessary to a desirable city. Art is a large word too. As Stendhal knew, there are as many styles of beauty as there are visions of happiness. To engage the subject, the panelists invited earlier this week at the Center for architecture are architects/designers/artists with no restriction in such societal boundaries. After an introduction by the moderator who recalls the questions asked to the speakers, each panelist talks about his/her practice. Dror has always tried to be a generalist working with specialists instead of specializing, he is interested in collaboration. He gives us an overview of his practice where art, architecture and design are intertwined within blurred boundaries. Dror’s entry rendering for the Helsinki Guggenheim competition. QuaDror, a system of geometric blocks stacked together to ultimately form construction barriers or canvas for artists. Archie Lee Coats, from Play Lab Inc.
Archie and his partner created the firm not only to design buildings, posters, furniture, or whatever, but to develop ideas. Their office is to enable them to do all of that at the same time. One of their great inspiration is the project of the pink surrounded islands (see below), by Cristo & Jeanne-Claude, created just for the sake of making something beautiful. But it changed the way people looked at the water. Archie presents the +Pool project, a floating filtered swimming pool in the East River, where New Yorkers haven’t swum safely and cleanly since 1936. They worked with engineers to create the technology to filter the water, with the public to fund the project through a crowd-funding campaign, with public agencies to acquire the right to build the facility, and so on. Art is an unstoppable urge to do the work, with no explanation, said Cristo. Seher is more on the artistic side of the conversation. She considers drawing as a way of thinking the space around us. Lost-scale perspective drawings as tools to trick memory. Universal components of architecture in imaginery landscapes. She also worked with photography, collage and objects. 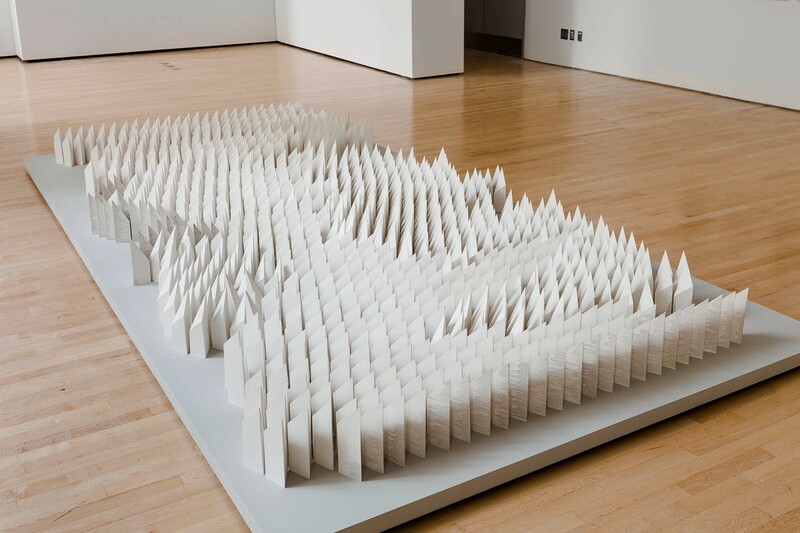 Between 2D and 3D, she explores new ways to think, design and record space. Louis believes there is nothing to discuss if there is no art in architecture. It would then just be design and construction. Architecture is fundamentally staging human interaction. Architecture is about creating an emotional experience. 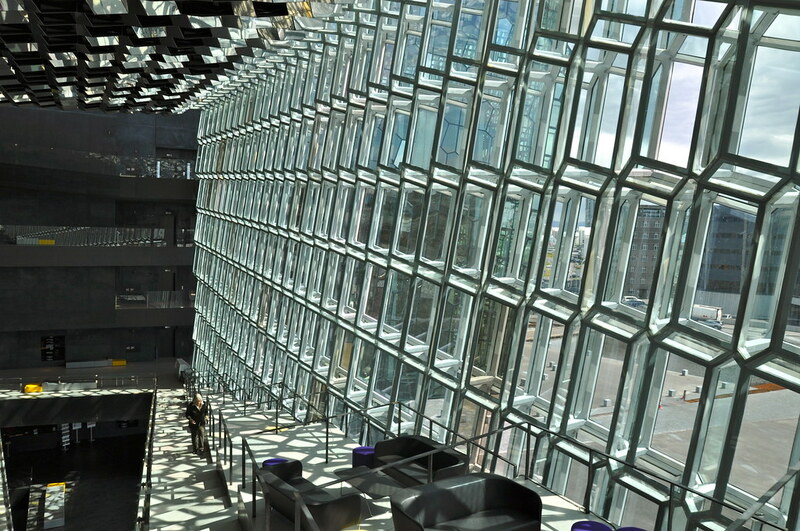 He then presents the Opera house Harpa-Reykjavik concert hall and conference center, in which the window is a (artistic?) masterpiece. MIMMI is an inflatable led cloud to show the mood of Minneapolis through data. The DRAEM, an empathy vortex on a pedestrian square in Copenhagen. Dror concludes that in the end, we don’t care about boundaries between art and architecture. It is more about developing a poetic approach to tackle a challenge, as opposed to answering exactly, sticking to a brief. […] Artists don’t do more whatever they want than architects do. […] Allen to add that public artists and architects are both problem solvers, and sometimes the solution is not aesthetic. […] For Louis, there are many examples of close collaboration between artists and architects to create a common design that no one can claim his/her. […] Let’s not be too binary and put people in boxes, things are ambiguous. […] For Seher, the intent is very important. Into the making of architecture, construction, we can lose the intent. […] Louis concludes that today, it is ridiculous to think there’s a one architect/artist who sits at the table, does a quick sketch, and leaves the rest to drawing monkeys. It is always a team work, a collaborative effort, there is no star doing the work alone.